Stanford Ho had the most liked content! Tuning can be grouped into 2 kinds. Customised ECU Tuning and also Piggyback tuning Piggyback This kind of tuning make use of a separate computer to do modify perimeter to the car's ECU and make more power. They typically read AF Ratio and Boost pressure. You can typically expect 15-20% gain from such modification which is lesser than Custom tuning which can yield 20-30%. Reason being, Piggyback tuning make use of a One Size fits all solution, these chips are sold to cars all over the world and have different climate. Thus the tuning on the device itself has a wider band to prevent any mishap... Custom Tuning Custom tuning is like teaching your ECU all over again, tuners are able to tweak timing, AF Ratio, Boost according to the parts you upgraded, the fuel you use for your vehicle. This simply means that your car is better optimised for the climate, parts and petrol and squeeze the most power out of it. However, custom tune carries a risk if its not done right, where instances the car is tuned too lean and the engine gets very hot. Thus do your own due diligence when selecting a tuner. Lastly for your question on how it affects ECO/COMFORT/SPORTS mode. The answer is, all range improve accordingly. Recently, the potential of this particular model have been opened up due to many request. Direct flashing is possible with Software like K Suite, Dimsports... Tuners like, Eurosports, Dynotechnica, Monster Tune are able to tune your ride. This tweeter is done at Dimension Audio, at Enterprise Hub. The replacement part itself should cost ard $100-200 ish. Can contact stockist like golden link with your chassis no. for a quotation. Cheers. Personally i have been using such performance filter and have noted a decrease in low end performance. However the high end do seem to be smoother with it. I personally don't recommend smaller cc. vehicle to have this upgrade as it totally defeats the purpose of having a small engine which is to be responsive. And lastly, our MB Original filter is already superior in quality. Cheers! 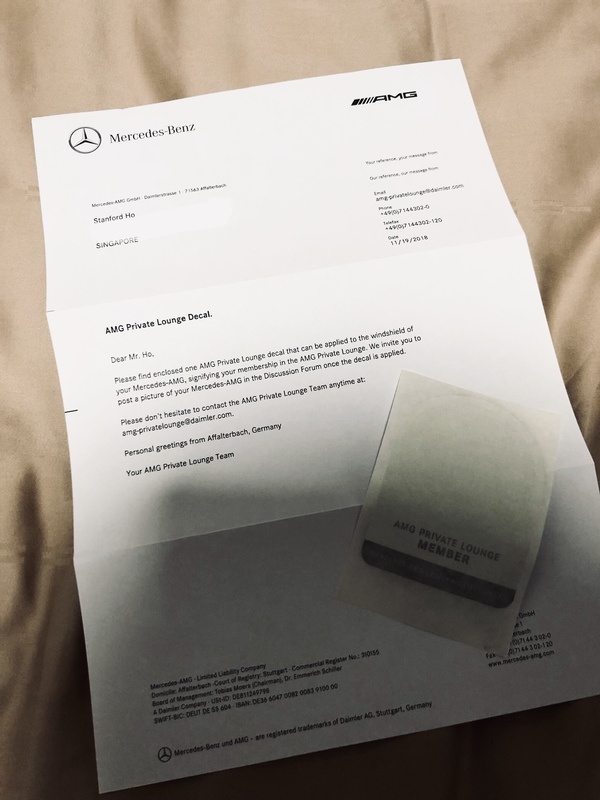 To Cut short, its better to have some basic car knowledge so that agent/workshops don't get to smoke u Rule of thumb for brakepad, best is to use Mercedes Original parts so your car wear & tear alarm still continue to works in sync. I only change my pads when the alarm lights up, else when I'm going for a roadtrip then I will get it replace with a visual inspection. As for rotors they rlly don't have to be replaced... most rotors are good for 2-3 pads replacement which is at the least 100k-150k km. And even so some would be fine with skimping. once again. you'll will be able to visually inspect how much your rotors have been worn down. As for warranty being void for not replacing certain part with them. thats weird, cos I have never experience that. Ever since my first brake pad/rotor replacement with them.. I have never went back to replace any wear&tear part with C&C but went to stockist to get it done. most of the time 50% or lesser than what C&C charge me. Yet they didn't void my warranty. But I do know that warranty would be invalid once you exceeded the next 60k w/o servicing with them. It's a very refine car, silent and comfy. Now packed with full memory seats and since the new facelift is coming up. The older ones are definitely gonna go for a clearance price real soon! Engine is responsive but can be made so much livelier with a tune. Through my 2yrs 8 months of ownership. it had never give me headache. Although the c200 would be so much more ideal! I would have gone for that if the COE was not 79k back then! The A, CLA are designed to cater to younger drivers. They're designed in mind of young drivers that would want a sportier ride, thus the stiff suspension. Some like it some hate it. But I personally find it too stiff. as for wind noise this could be an uneven door panel or fender thats causing it. Head to your Servicing executive to have it sorted out. you cant compare it to the A6. because its a totally different design approach. we can't even compare the A/CLA to the C. its just not the same. C&C warranty already works like the latter before the new ruling kicks in. They only void warranty to parts that are not stock. AMG A45 running in ? http://www.goldenlink.com.sg/branches-1 Sure, pls call up any of the branches with your chassis number. Selling a pair of RAGE 4 Pot BBKs They’re FULL Forged and comes with 355mm Full Floating Rotors. They’ve been repainted to AMG Silver. This set of brakes comes with Kevlar brake pads and have been tested at speed of up to 250km/h on the NSHW. YES, they work without much brake fading. However, they wouldn’t cut with the way I drive.... so have to let it go as i’m upgrading to 6 pots. These brakes are less than a year old and the pads & rotors have plenty of life (85%>) Letting them go with Stainless Steel brake hoses at a price of $1,200. PM me if interested. The BBKs are 2.2k brand new from stockist. Thread depth don’t always indicate how efficient your tires are. A old vulcanized tire with lots of thread depth can also not grip well. Otherwise, get a dealer to scan the computer on your car. sometimes it can be due to a software failure.